Are you a Longwave enthusiast? Longwave Loop Antennas for discerning LW DX Listeners. High performance Tunable Amplified Loop Antenna for Longwave, featuring a low noise, high gain, wide dynamic-range, preamplifier with BNC O/P. 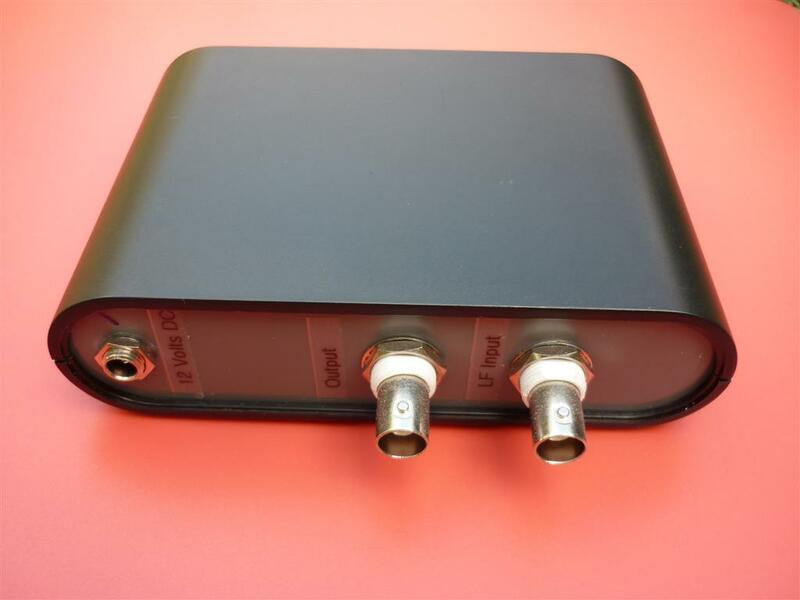 High performance Longwave up-converter, hears VLF right down to 1KHz! Ultra sensitive and low noise; on a simple antenna you can receive JJY on both 40 & 60KHz along with other distant VLF signals right here in Australia ! Excellent for listening to VLF phenomenon such as whistlers, sprites and for SID monitoring. Designed to completely block AM/MW Band Interference and reject inband reception of Shortwave signals on the converter output. 12 Volt operation with Relay Bypass on the input and output on power off. 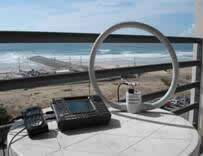 Pictured right is Neil’s LW Loop Postcard from his latest DX’pedition to Costa-Da-Caparica in Portugal.